You know those times where you just crave a crunch? Chips aren’t always the best pick, and munching on carrot sticks doesn’t always do the trick. The solution? 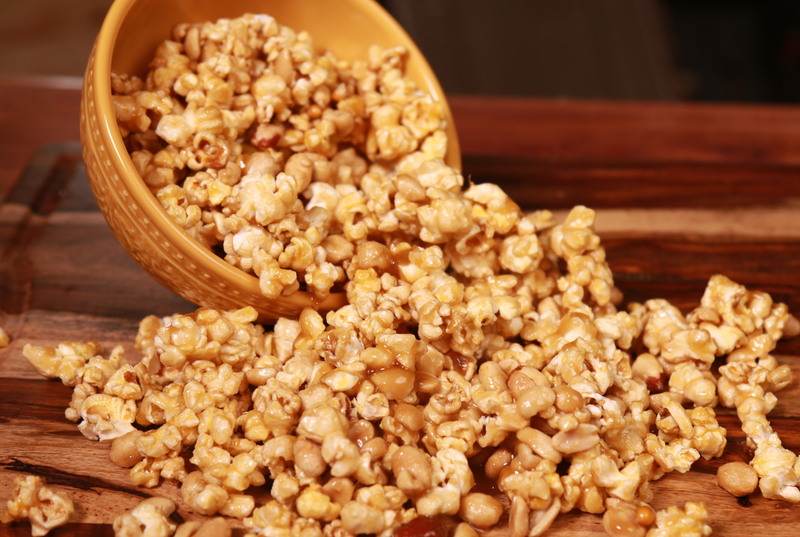 Making popcorn that has all the flavor and crunch you’re looking for. Grab the following and meet us in the kitchen! So this recipe comes together in no time, and will have you reminiscing about all those wonderful times you spent at the ballpark as a kid. Start by mixing your nuts into your bowl of popcorn and set aside. In separate, microwave-safe bowl, mix together your brown sugar and corn syrup and then slice up pieces of butter and stick in your microwave for 1 minute. Remove the bowl, stir everything together, and then microwave once more for another minute. Give it another good stir, and it will look like rich, creamy caramel sauce. Pour this whole thing over your popcorn, and then spoon your entire mixture onto a parchment-lined baking sheet and bake at 250 degrees F for about 25 minutes. The result? 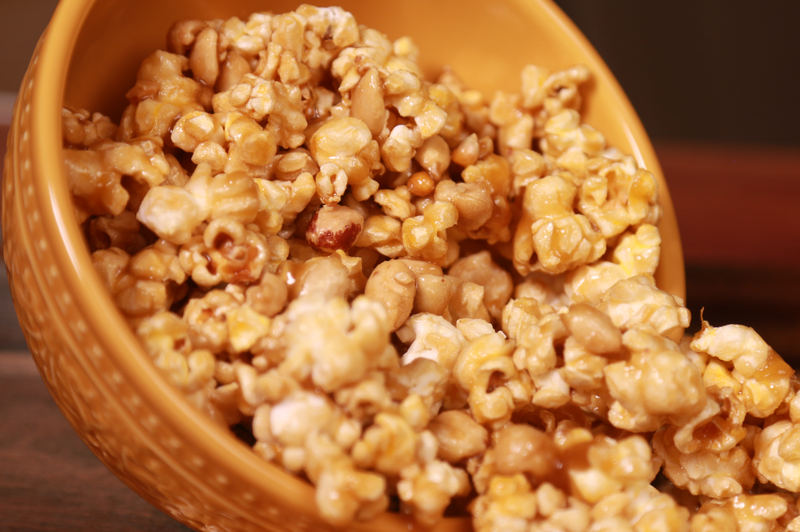 A homemade batch of Cracker Jacks! All that’s missing is the press-on tattoo!